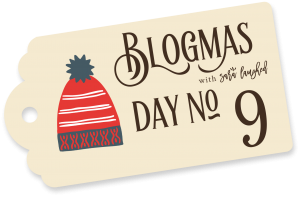 Welcome to the ninth day of Blogmas with Sara Laughed, where I’m blogging every day ’til Christmas Day. Head over to my Blogmas calendar to see the full collection, or click on the gift tag below! When I was in high school, one of my best friends got a DIY spa kit for Christmas. I don’t remember exactly what it had, but I remember seeing sugar scrubs and lip balms and being so jealous. 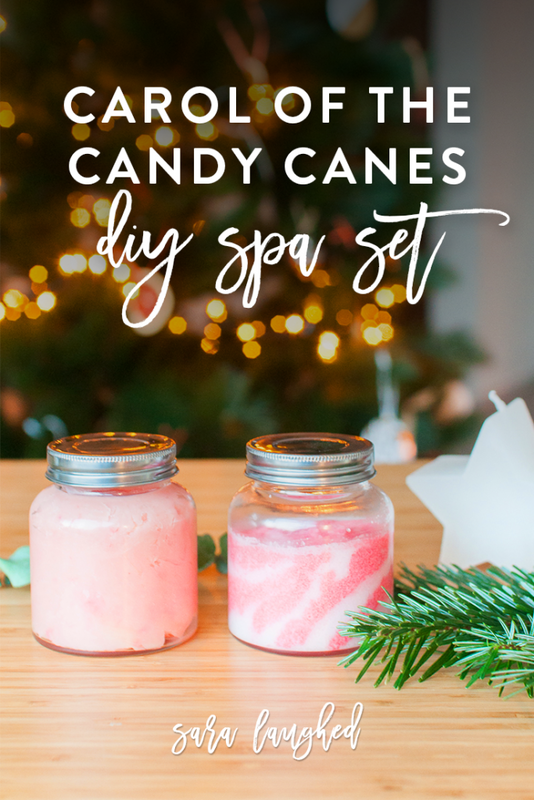 I’ve always loved to make things myself, whether they’re candles or dresses or cookies, and back in high school I loved buying lotions and nail polishes and makeup. The idea of making self-care products myself seemed so cool and impossibly difficult. 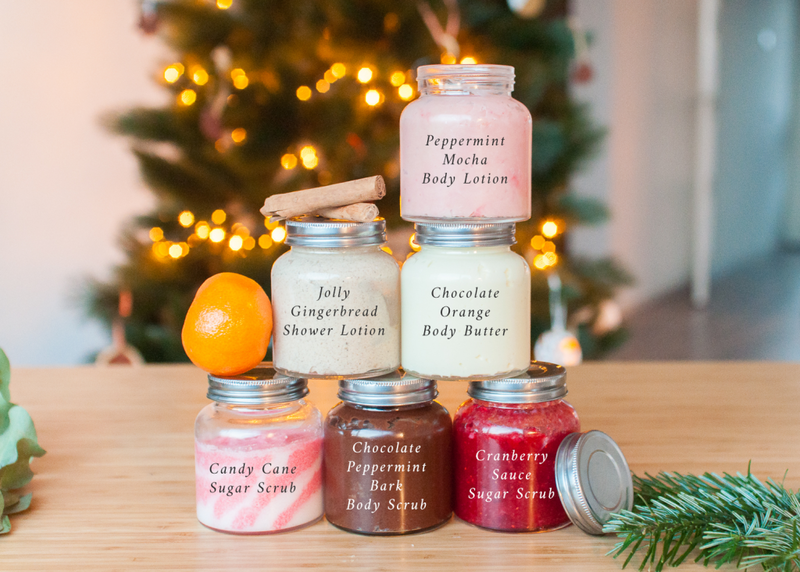 Well, it turns out that making your own DIY sugar scrub or body butter is actually really, really easy! It’s also super fun to make your own ideal scent or product, and to top it off, it’s not too expensive, either. 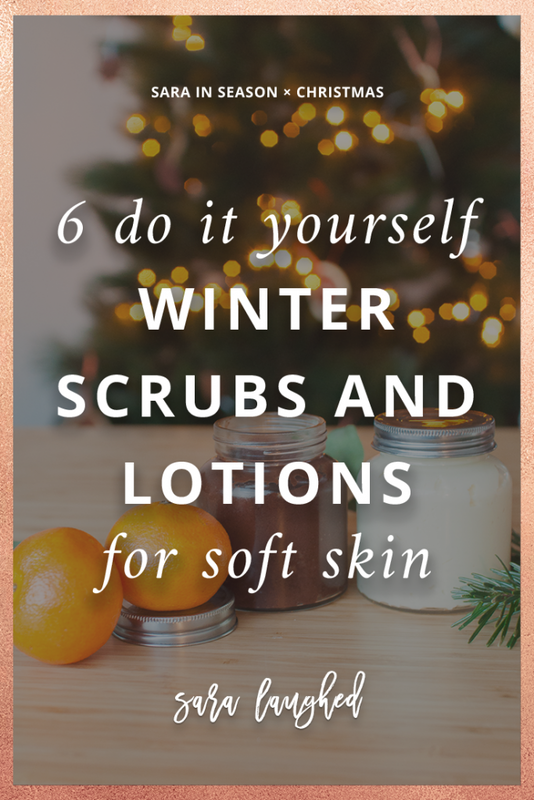 Today I’m sharing 6 winter scrubs and lotions that you can make at home using just a few ingredients. Just for fun, I put these into sets, but if you want the scrub from one and the lotion from another, go right ahead! These rules are made to be broken. These wonderful ingredients come in solid form, but harden when they get cold. That means that when you’re rinsing a bowl with liquid coconut oil in it, the residue on the sides of the bowl will harden if you’re using hot water. It also means that if your drain can clog up with the oil if you don’t rinse it properly. The simple solution is to do your clean-up with hot, hot water, and to always run the tap (or pour some water from the kettle) down the drain for a few seconds after using just to rinse out the reside. In the shower, just run the shower with really hot water after you get out so that any residue in the pipes is flushed away. Place the coconut oil in a bowl and add the sugar. Whip for 1-2 minutes (you can also whisk by hand if you don’t have a mixer, but it’s a pain). Add the cocoa powder and the essential oil and whip again. Put it in a clean jar and you’re done! This recipe is borrowed from Amazingly Tasty. 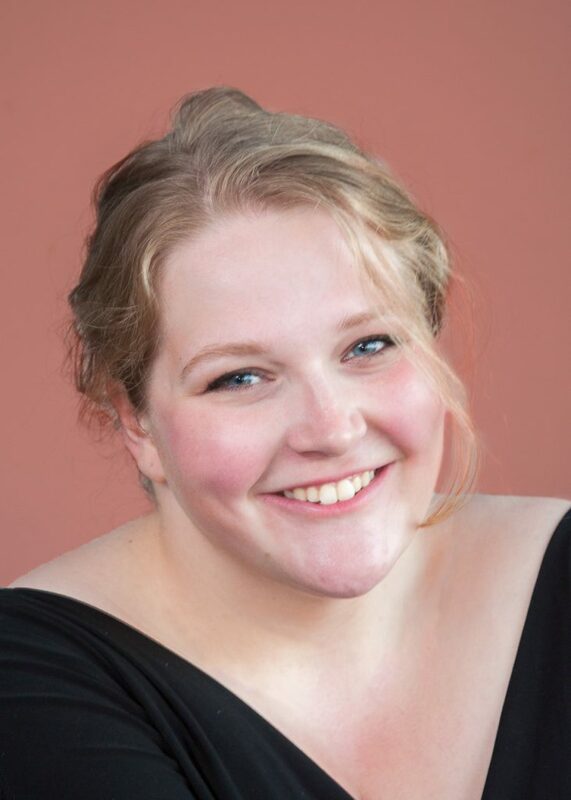 You can read her original post here. 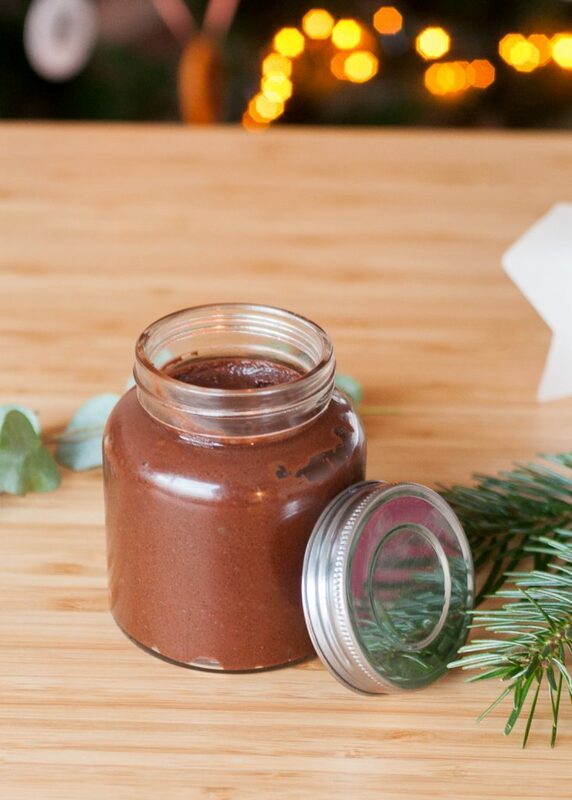 To melt the coconut oil and cocoa butter, it’s helpful to use a double boiler. If you don’t have this, just fill a saucepan with hot water and place another saucepan on top of it. If you only have one saucepan, use a metal bowl on top of the saucepan. Place your double boiler (or replacement) on the stove and turn it on. Let the water in the bottom pot get hot — it doesn’t need to boil yet, but it should be steaming. Now put the coconut oil and cocoa butter in the top pan and stir. They should slowly melt together. Once the mixture is totally melted, add the olive oil and essential oil and put it in the fridge for about 15-20 minutes, until it’s creamy and like a soft solid. Now use a food mixer (or a whisk by hand) and mix it until the mixture is fluffy. Put it in a jar and you’re done! This recipe is borrowed from One Crazy Mom. 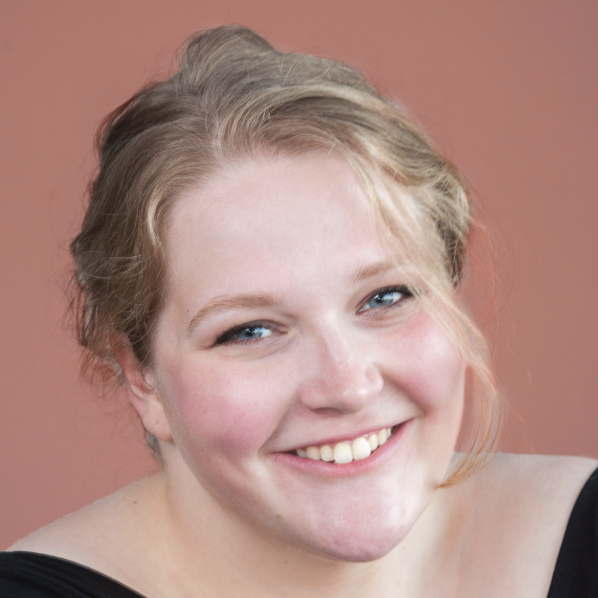 You can read her original post here. Put the coconut oil in a microwave-safe container and microwave for 20-30 seconds, until most of it is runny. Using a spoon, stir the mixture until it’s entirely runny and clear. Divide it in half, into two bowls. Divide the white sugar, and put half (1/4 cup) into each one bowl. Mix bowl until the mixture is crumbly, like damp sand at the beach. Now add the red food coloring to the oil mixture in the other bowl and stir. The more dye you add, the redder the mixture will be. For the soft pink color in mine, I used about 2 large drops. The dye will not mix well with the oil; it’ll look like tiny red splatters. That’s fine for now. Add the remaining 1/4 cup of white sugar to this mixture and mix until it’s crumbly. 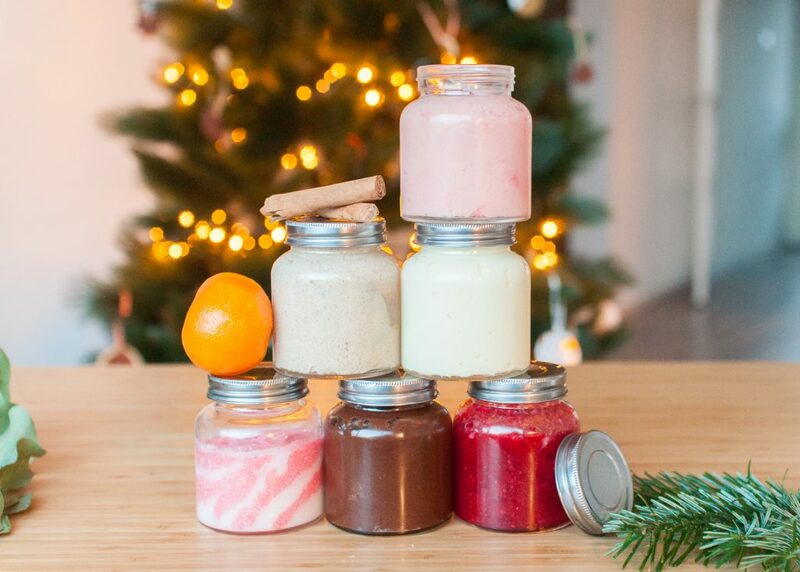 Now get our your glass jar and create layers of each color. For the hack on how to create beautiful diagonal layers, please check out One Crazy Mom’s original post. Once the mixture is totally melted, put it in the fridge for about 15-20 minutes, until it’s creamy and like a soft solid. Now use a food mixer (or a whisk by hand) and mix it until the mixture is fluffy. 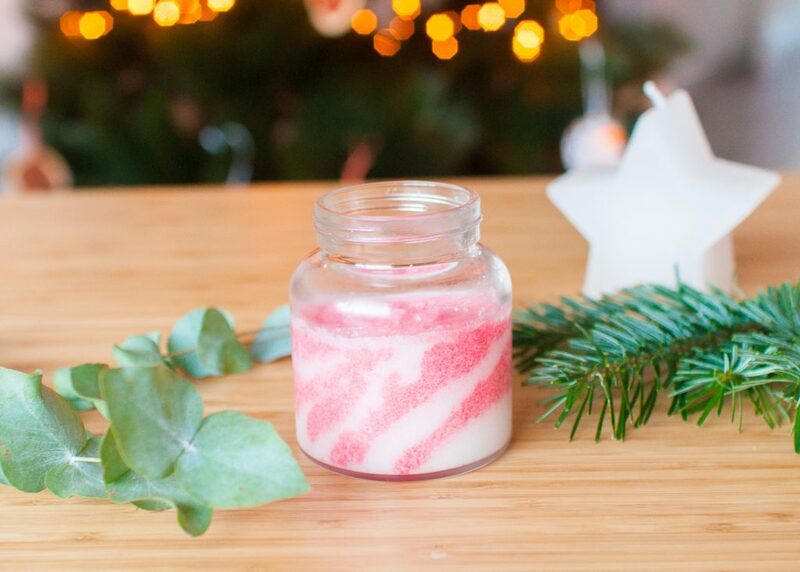 Add the food coloring and essential oils and mix again, until the lotion has a mousse-like consistency. Put it in a jar and it’s ready to go! Place the coconut oil in a microwave-safe bowl and microwave for 20-30 seconds, until runny. Mix with a spoon until consistently runny and clear. Puree the cranberries. Place them in a microwave-safe bowl and microwave for 15-20 seconds, just to let them reach room temperature; if you add them to the coconut oil right away, the oil will harden and get clumpy. 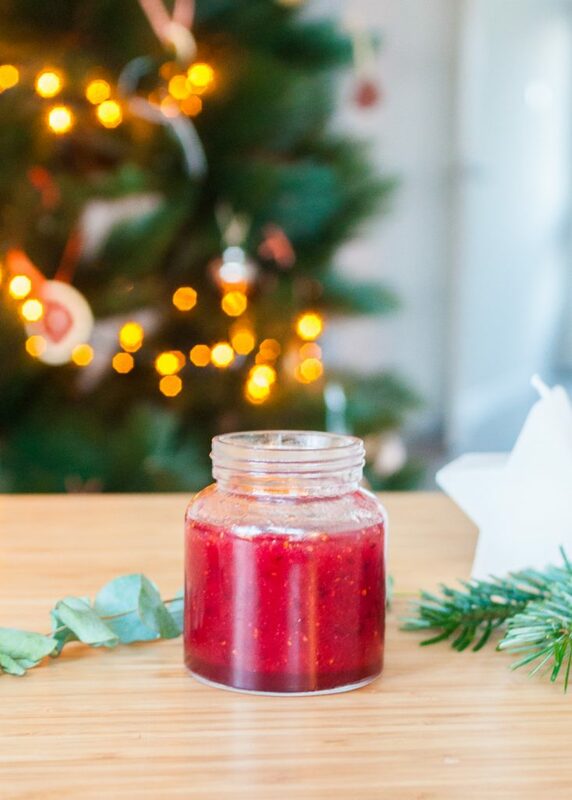 Mix the oil, warmed cranberry puree, and sugar in a bowl and add the essential oil. Mix it until it’s consistent and you’ll be ready to go. This keeps for about a month, so make sure you use it before then! Once the mixture is totally melted, put it in the fridge for about 15-20 minutes, until it’s creamy and like a soft solid. Now use a food mixer (or a whisk by hand) and mix it until the mixture is fluffy. Add the spices and mix again, until the lotion has a mousse-like consistency. 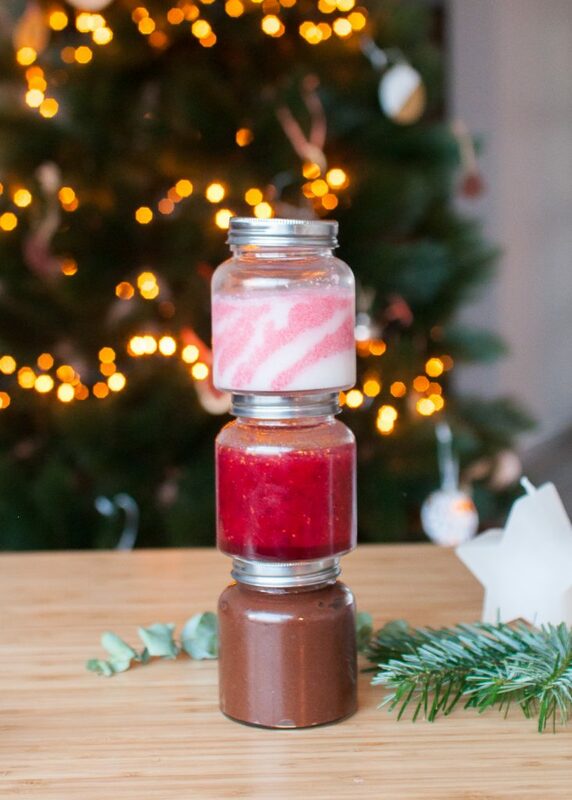 Jar it and you’re ready to go! Use this lotion in the shower so you can rinse off the spices when you’re done. It should leave your skin supple and moisturized after! If you try out any of these recipes, please let me know in the comments (or by shooting me an email) how you liked it! 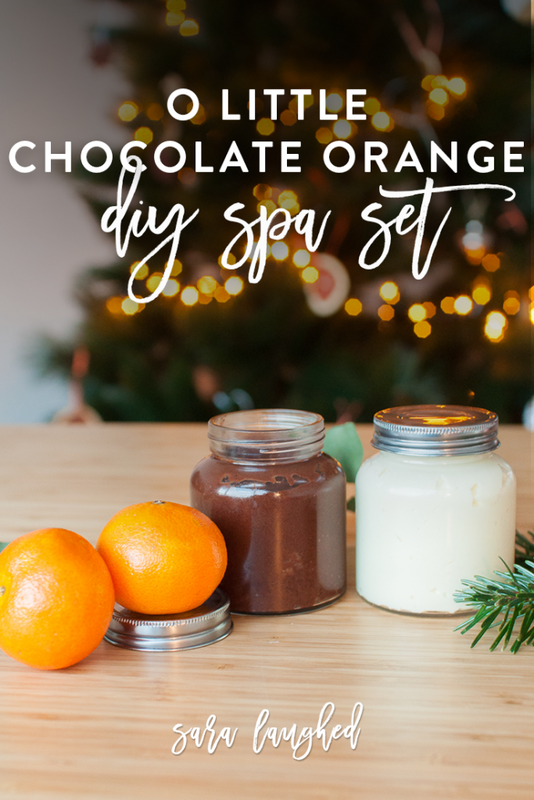 I’m a big fan of the O Little Chocolate Orange set especially — the lotion is just so lovely! OMG Sara, these look amazing! 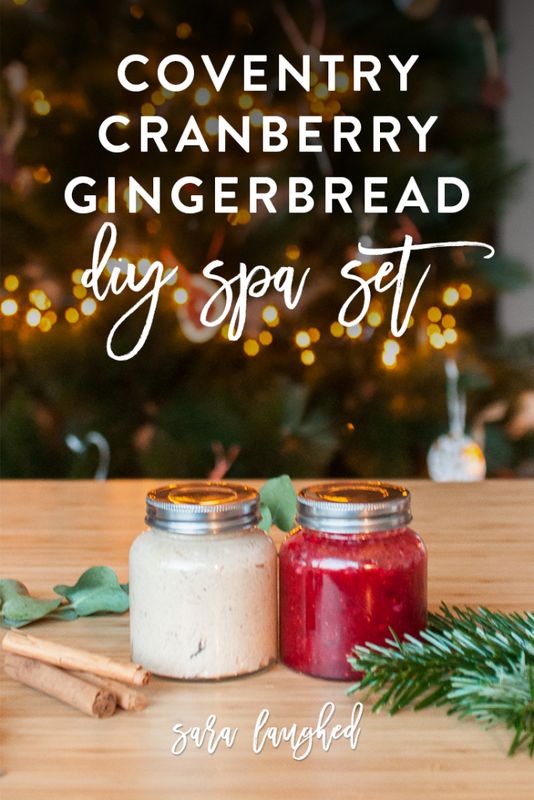 I really want to try the gingerbread and cranberry ones!